Why Pursue French and Francophone Studies? Every summer the French program sponsors a summer study program in Paris. Students will earn six (6) credit hours by participating in this program. 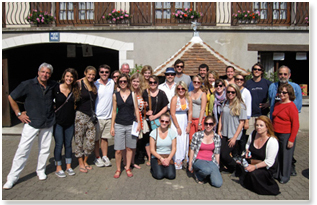 In addition to formal classes, group excursions to cultural and historical sites are an integral part of the programs. Students may opt to take classes in French or in English. For more information, visit UT Knoxville French Language in Paris. For Summer 2014, Professor John Romeiser will accompany the UT in Paris program. UT Paris 2011 from Language Resource Center on Vimeo. Students are also encouraged to study abroad, particularly through participation in the International Student Exchange Program (ISEP). 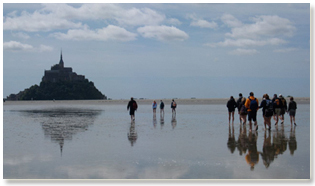 The French program is also prepared to recommend other summer study opportunities and year abroad programs for students who are interested in foreign study. Credits from recognized foreign study programs can readily be transferred to The University of Tennessee. Students are required to consult with a French advisor before registering for courses in France or another French-speaking country. A stop at the Programs Abroad Office is highly recommended as well.